Vietnam football federation has finally approved Coach Hoang Van Phuc’s resignation. Moreover, they are also finding a new Japanese successor. Coach Hoang Van Phuc had previously asked to quit his job after having failed at SEA Games 2013. Nevertheless, it was delayed for preparation of the 7th term conference, Coach Hoang Van Phuc was asked to lead team in friendly match between Korea student and 2015 Asian cup’s qualification against Hong Kong.At this time, VFF intended to arrange Coach Phuc to train youngsters. 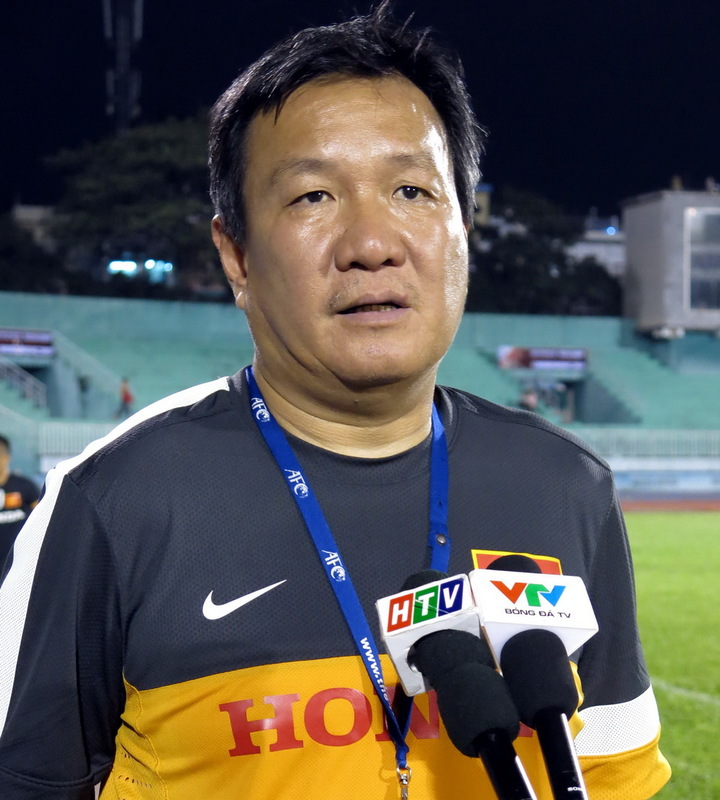 However, Coach Hoang Van Phuc only leaded Vietnam national team till 2015 Asian Cup’s qualification and he insisted on ending contract with VFF. After 7th term conference, VFF decided to find a Japanese coach and VFF agreed to end contract with him. In the morning of April 4th, VFF’s deputy chairman Tran Quoc Tuan, general secretary Le Hoai Anh and deputy general secretary Duong Nghiep Khoi had talked to Coach Hoang Van Phuc about ending contract with him. VFF’s chairman Le Hung Dung confirmed that they received application of Japanese coach.Then in the evening of April 4th, deputy chairman Tran Quoc Tuan and general secretary Le Hoai Anh would travel to Japan in order to work with Japan football federation about this candidate. Vietnam’s football now will develop based on Japanese formation. Japanese experts are expected to help Vietnam find suitable candidate.